Earlier this month, Brad Highland from TapSnap 1114, Pam Berube-Peters from TapSnap 1044, John Dollymore from TapSnap 1116, and Chuck Coughlin from TapSnap 1118 had the honor of participating in the Pints4Pete 2015 World Tour—which involved a multitude of ALS fundraising events hosted by Team Frate Train members at different pubs around the world. The ALS awareness campaign not only raised awareness, but also exceeded their goal of $33,333. Collectively, these world-wide ALS fundraising events raised $86,128 for their awareness campaign—one of many incredible achievements for ALS awareness! Needless to say, the TapSnap family was proud to participate in this worthy cause. TapSnap’s involvement with Pints4Pete is all thanks to TapSnap 1118’s owner, Chuck Coughlin. Chuck, a former baseball coach from Boston, first met the Frates family at a Lowell Spinners event, which was hosted to honor the family and their contributions to the community. Since then, Chuck has been an active participator in the campaign to "Strike Out ALS". This ALS awareness campaign was very important to Chuck because it encouraged a sense of community within the TapSnap family. He recalls how his fellow franchisees, Pam from TapSnap 1044 in New Hampshire, and Pamela Dube from TapSnap 1076 in Maine went out of their way as well. They both visited Boston prior to the event to collaborate and ensure it would be a huge success. There were also many highlights from the evening. However, according to Chuck, there were a few that were truly memorable. Chuck was touched by all the TapSnap franchisees’ loyalty, and their readiness to promote the event on their social media channels. He was delighted as well to see photos from the worldwide ALS fundraising events posted to his SnapCast. Chuck also mentioned how endearing it was to hear stories from families affected by ALS, and to see how happy they were in knowing that people are trying to make a difference. Overall, the collective efforts from these worldwide events proved to be a success. We’re so proud of Chuck, Pam, John, and Brad for participating in Pints4Pete, and of all the TapSnap franchisees who supported their colleagues! This isn’t the first charity fundraising event in which TapSnap has participated. In February, TapSnap also partnered with Animal AWARE for the “Take Me Home” pet adoption drive. Many of our franchises have also humbly participated in other charitable events. We certainly look forward to the next initiative! Although it’s nearing the end of the month, remember that May is ALS awareness month. 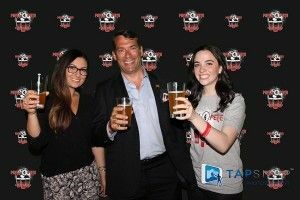 While the Pints4Pete website has closed donations, you can still contribute to ALS research by donating through the ALS Society of Canada or the ALS Association. 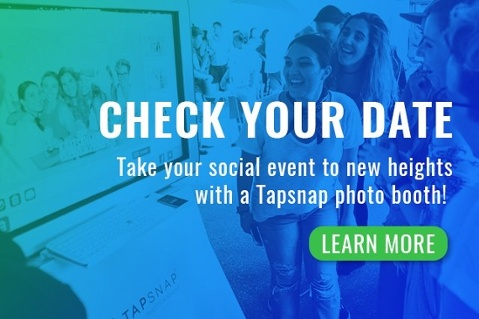 Have questions about photo booth rentals with TapSnap? Send us a message through ‘Quick Contact’ below, or give us a call at 877-600-8710. We’d love to share some great ideas for branding your event!